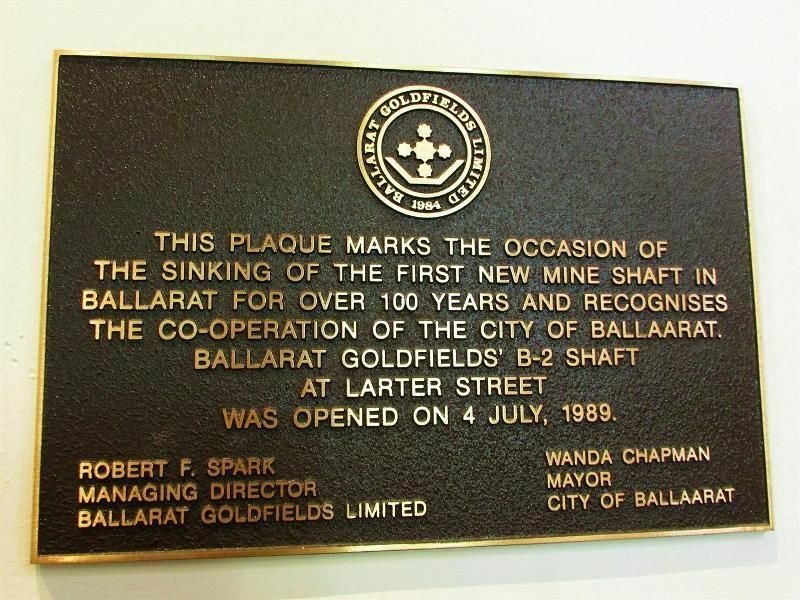 A plaque commemorates the sinking of the Ballarat B-2 shaft and the co-operation of the city of Ballaarat. The B-2 shaft was the first new mine shaft in Ballarat for over 100 years. The Oo-Operation Of The City Of Ballaarat.